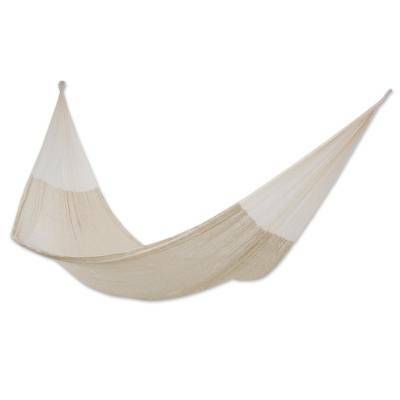 A summer classic, this beautiful hammock is hand-woven of unbleached cotton. 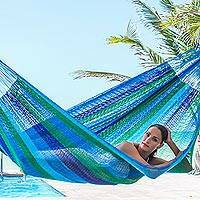 Maya Artists of the Yucatán create it in the same way they have for centuries. 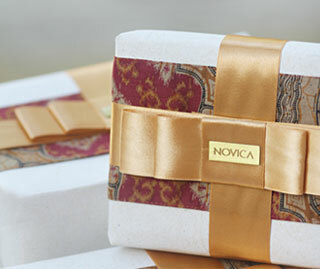 Ample and comfortable, it brings a touch of luxury to leisure moments. 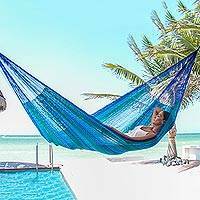 Long before the Spanish arrived upon the coasts of the Yucatan Peninsula, the Maya preferred to sleep and rest in hammocks. 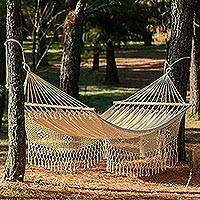 They considered the hammock to be like the loving embrace of a mother, due to the comfortable manner in which the body is held and swung within its cradle. 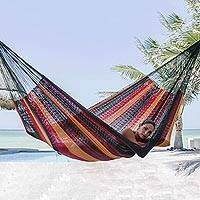 Maya Artists of the Yucatan seek to preserve time-honoured customs while also offering stylized versions of the original Maya hammock. 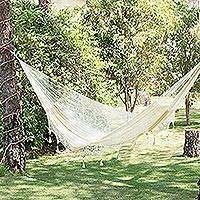 For them, the hammock is a work of art. 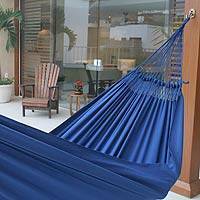 Their hammocks are incredibly comfortable, easy to maintain, and may be stored just about anywhere. 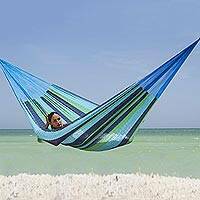 It easily packs for travel to the beach or lake. 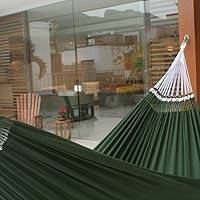 Extender ropes (measuring 1 metre), hammock hooks ("S" hooks), and step-by-step instructions included for easy instalation. 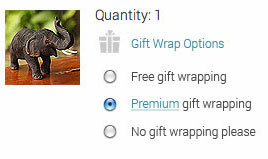 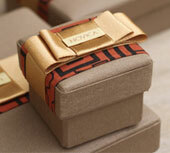 NOTE: Because each is woven individually by hand, measurements may vary by as much as ten centimetres. 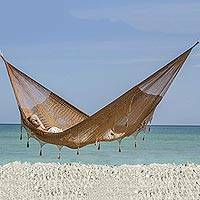 There may be slight colour variations from hammock to hammock. 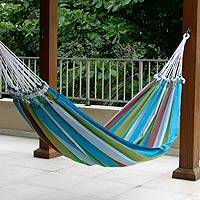 Holds up to 450 lbs.